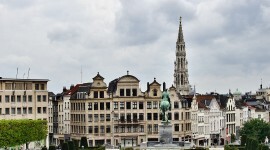 Parc Cinquantenaire, or Jubelpark in Dutch, is one of Brussels, Belgium’s most famous landmarks. The centrepiece triumphal arch was erected in 1905 and it’s age and grandeur certainly lend itself to the Forgotten Postcard treatment. If you like this image please pay a visit to my Forgotten Postcards Gallery for all of the works in this series. 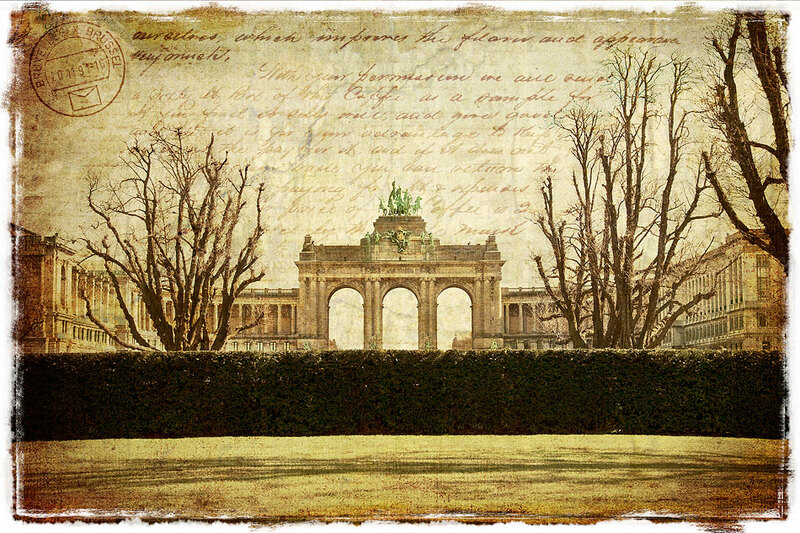 This entry was posted on Saturday, July 11th, 2009 at 16:29 and is filed under Digital Art, Forgotten Postcards and tagged with "Parc Cinquantenaire", arch, architecture, art, Belgium, brussels, digital, forgotten, photoshop, postcard, Travel. You can follow any responses to this entry through the RSS 2.0 feed.